The estimable London 4-piece Turin Brakes have announced a UK Acoustic Tour starting in Autumn 2019 and heading into 2020. This is a chance to see the band in their first full stripped back acoustic tour since way back in 2002. They will be playing a range of songs spanning their 20 year career – which includes seven top 40 singles and 6 top 40 albums with sales over a million worldwide. Formed in Balham South London, Turin Brakes released their Mercury Music Prize nominated debut album The Optimist in 2001 followed by Ether Song in 2003 which featured the top 5 hit single Pain Killer (Summer Rain). 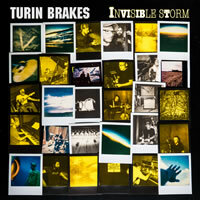 One of the finest indie bands of the last decade Turin Brakes are a band that’s weathered many Invisible Storms, that are sure of who they are and what they’ve set out to do, and know that there’s always a story left to tell. The band – founder members Olly Knights and Gale Paridjanian, along with longtime bandmates Rob Allum and Eddie Myer – released their eighth studio album ‘Invisible Storm’ in 2018 on Cooking Vinyl.